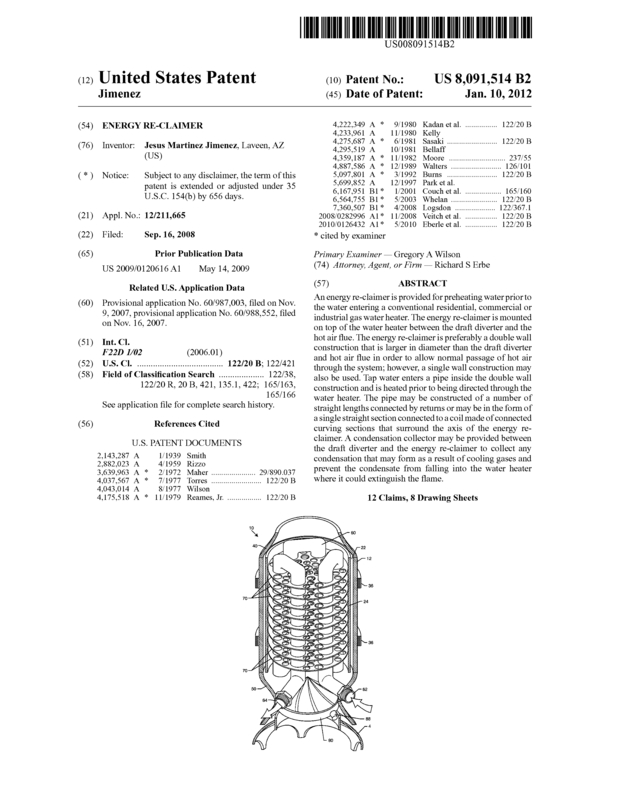 Our invention has been issued Patent No. : US 8,091,514 B2 and is fully protected for the next 19 years. What is an Energy Re-Claimer? 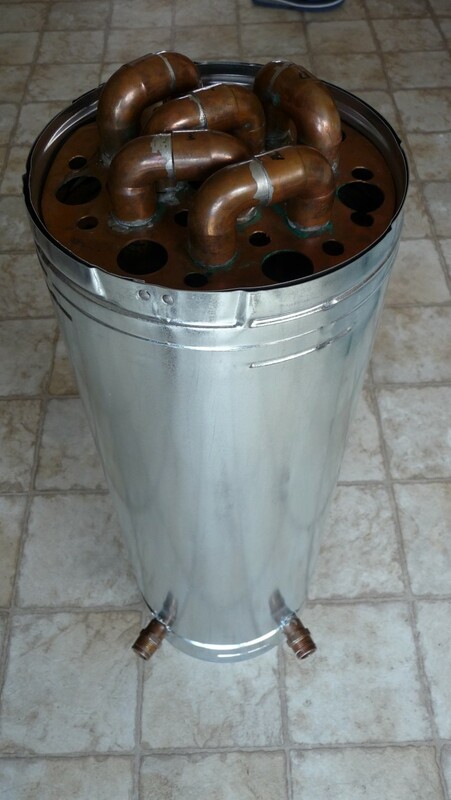 An Energy Re-Claimer is a new patented “heat exchanger” for gas water heaters. The Energy Re-Claimer is placed on top of the water heater in lined with the water heater’s flue. It is also connected between the cold water tap and the cold water inlet of the water heater. The purpose of the Energy Re-Claimer is to take the heat that is produced by the gas water heater that is normally vented into the atmosphere through the flue, and transfer it to the cold tap water just before it goes into the water heater’s tank. The Energy Re-Claimer or heat exchanger pre-heats the tap water, raising the temperature of the tap water before it goes into the tank. Instead of the water heater having to heat tap water from a temperature of 60º F up to 180º F. The now pre-heated tap water enters the water heater tank at approximately 150º F. Now the water heater only needs to raise the temperature of the water from 150º F to 180º F. the water heater works less to raise the temperature of the water to 180º F.
This process has several benefits. a. The water heater takes less time to heat the water to 180º F, thereby extinguishing the gas burner sooner. b. Since the gas burner is extinguished sooner than it normally would be, less gas is used. c. Less gas means less money spent on gas to heat water, and more money in your pocket. d. With the money you save, the Energy Re-Claimer will pay for itself. e. The water heater and its tank will also last longer since, it will not have cold tap water pouring into the hot water heater tank, but warm to hot water, therefore completely eliminating thermal shock. This saves wear and tear on the water heater and water heater’s tank, thereby extending the life of the water heater. f. Billions of BTU’s of heat are taken from the atmosphere and placed into the water every year. Thereby, helping to reduce global warming. There are over 50 million gas water heaters in the United States alone. Each water heater vents between 34,000 and 90,000 BTU’s of heat per hour each time the water heater comes on to heat water. The average water heater come on between four to six times a day, and stays on from between 20 to 30 minutes each time. On average, United States gas water heaters alone vent approximately 4.65 TRILLION BTU’s of heat per day into our atmosphere. Humanity is in a perilous situation. We are slowly raising the temperature of our planet. We are like a lobster in a cooking pot, the lobster makes no effort to escape since the temperature of the water is rising insidiously slow. By the time the lobster realizes that the water is too hot. It is too late to escape. We as humans are in a similar insidious situation. We are slowly raising the temperature of our planet and if we do not collectively do something to slow or completely stop this global warming now, it may be too late in the near future. This is something we all have to work on. For the future of our planet… For the future of our children. Installing an “Energy Re-Claimer” on your gas water heater can help save our planet. Most of the heat vented through the flue, escapes directly into our atmosphere. With tens of millions of gas water heaters in the United States alone, a staggering amount of heat is vented into our atmosphere every year. With your help, and the “Energy Re-Claimer”, we are putting this heat back into the water, where it belongs. Our “Energy Re-Claimers” help make your gas water heater more efficient, work less, last longer, save natural gas, save you money, and help reduce the amount of heat that is vented into our atmosphere thereby helping to cool our planet. (60) Provisional application No. 60/987,003, filed on Nov.
9, 2007, provisional application No. 60/988,552, filed on Nov. 16, 2007. An energy re-claimer is provided for preheating water prior to the water entering a conventional residential, commercial or industrial gas water heater. The energy re-claimer is mounted on top of the water heater between the draft diverter and the hot air flue. The energy re-claimer is preferably a double wall construction that is larger in diameter than the draft diverter and hot air flue in order to allow normal passage of hot air through the system; however, a single wall construction may also be used. Tap water enters a pipe inside the double wall construction and is heated prior to being directed through the water heater. 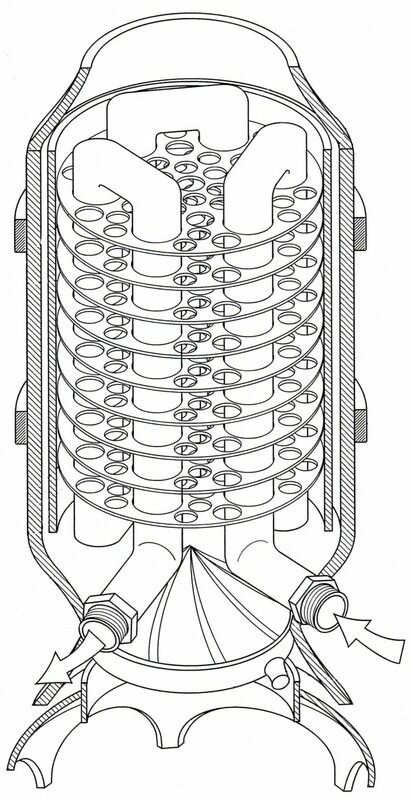 The pipe may be constructed of a number of straight lengths connected by returns or may be in the form of a single straight section connected to a coil made of connected curving sections that surround the axis of the energy re­ claimer. A condensation collector may be provided between the draft diverter and the energy re-claimer to collect any condensation that may form as a result of cooling gases and prevent the condensate from falling into the water heater where it could extinguish the flame. I am interested in licensing the invention to a well established company. I will consider a small earnest money amount but with a fair amount of royalties paid quarterly. This invention has not been previously marketed so time is of the essence. I believe the market potential is extraordinary. Gas water heaters are used by the millions and will be in used for years to come to heat our water. Since this invention is added to an existing water heater to help save gas and money, the market potential is fantastic. I would like to license my invention to a company that will have the product in the market within a year. If you are interested in making a written offer, contact me through this website and we can begin to negotiate on additional terms. Page created at 2019-04-25 20:02:12, Patent Auction Time.